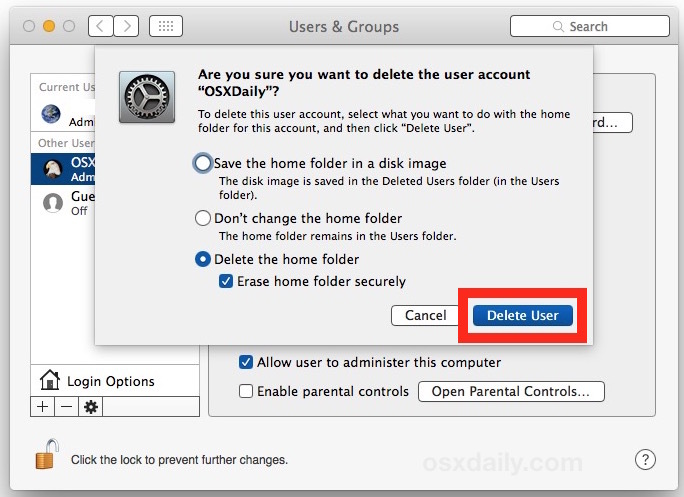 Macs with multiple user accounts sometimes need to delete a user account. 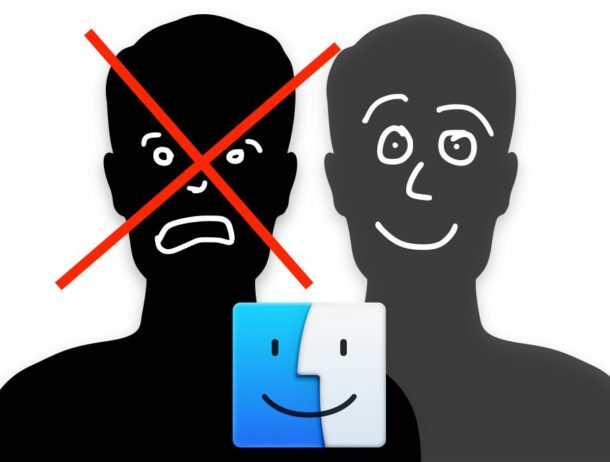 Maybe you no longer need a specific user account, or you’re removing an old login, or just cleaning house, whatever the case, it is easy to remove a user from Mac OS X. The method we’ll cover allows removal of any user account, whether it is an admin account or a standard account. Keep in mind that by deleting a user account, not only is the user account removed from the Mac which thereby prevents that user from logging into the Mac again, but in most situations that users files and data is also deleted as well. There are options to save the user Home folder data while still removing the user account login, however, or you can choose to completely and securely erase both the user account and the users Home folder. The process of removing a user account is irreversible. Be sure to back up your Mac before deleting a user account or any user data. If you chose the option to completely remove the user account and the users Home folder, any and all files and apps in that users home directory will be deleted. If you choose one of the options to preserve the Home folder, it will be located in the /Users/ folder or the Deleted Users folder. 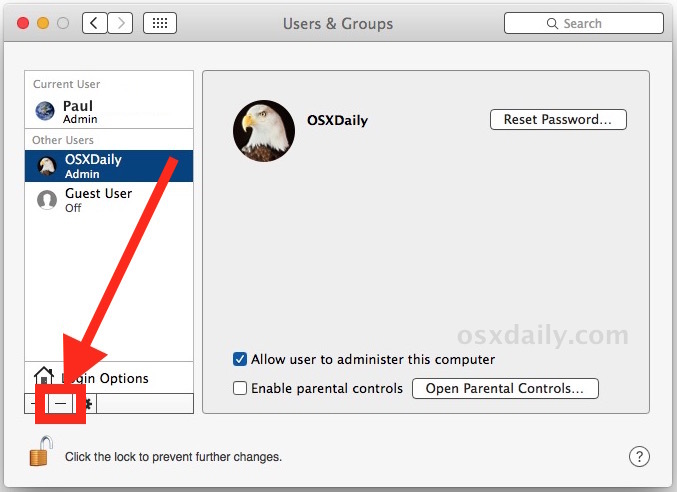 While deleting a user is permanent, you can always create a new user account on a Mac at anytime, though if the intention is simply to allow basic guest usage like internet access, then setting up the Guest User account on Mac OS X is often a better idea. Another option would be to hide a user if you don’t want it to be widely visible, which allows logins on that user ID but it won’t be visible in the obvious places throughout Mac OS X.
I would recommend creating a different username and having a backup one. I did this to delete the generic admin account on my new *used* macbook air. Its taking hours and hours!! Is this normal?? – sign does not show bright, so Admin-user cannot be deleted. You have to be logged in as another admin user to delete any other admin user. It’s not a good idea to delete user accounts without having backups though, you may lose all the files associated with that admin user for example. So backup first. So, I am on a Admin user trying to delete another Admin user, but it won’t let me delete it. Any suggestions? the user and – sign are unhighlighted and will not let me remove them why??????? I have followed this and 10m other articles and still, it will not let remove this person!!!!!! You need to be an admin user to delete other user accounts. Authenticate by clicking the lock button and then login with an admin account.